Summair Sports Club is located in the heart of Jamnagar. This club is an 80 years old institution spread over more then 3 lacs square feet . The club bears its name after Shri Summairsinhji, Late Maharaja of Jodhpur. 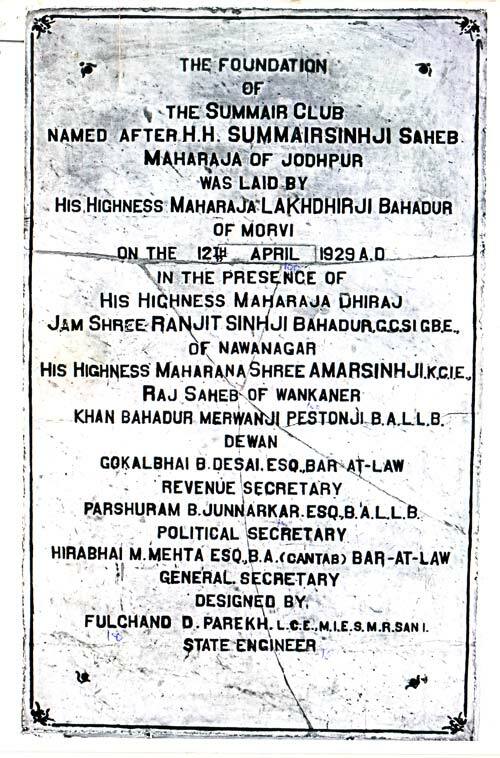 The foundation stone (view image) of the club was laid on 12th April, 1929 by Maharaja Lakhdhirsinji of Morvi in the august presence of the rulers of Nawanagar and Wankaner states. The management of the club was completely handed over to the members through the election of the Executive Committee in 1969 (view the past secretary / presidents). The aim of the club has, since the beginning, been the development of sports and to cultivate a sporting culture amongst the citizens of Jamnagar. Over the years the club has developed and diversified its activities to include cultural events. The club has its own guest house consisting of 8 well furnished and luxurious rooms and a conference hall capable of accommodating approximately 80 to 100 persons. Future plans include building an open air theatre. The club has 1000 members on its rolls. Facilities available in the club include swimming, billiards, tennis, badminton, table tennis, gymnasium, squash court, skating rink and card rooms. 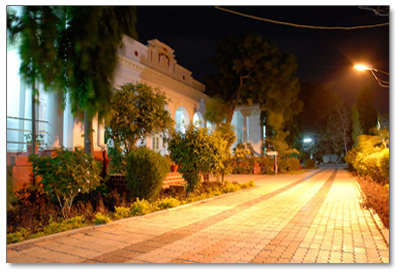 It also has a very fine library which boasts of a fine collection of books both in English and Gujarati. It boasts of beautiful lawns and two large grounds. Summair Club is affiliated to about 60 reputed clubs across India and abroad (view affiliated clubs list). The club regularly conducts district and state level tournaments. The club has been hosting the Open Gujarat Table Tennis tournament every year. The club also conducts the Open Jamnagar tournaments every year in various sports. It has hosted the All India Billiards Professional tournament in 1995 which drew Michael Ferreira, Geet Sethi, Subhash Agrawal, Nalin Patel, Manoj Kothari, Ashok Shandilya, Rupesh Shah. The club also organized the All India Volleyball tournament in the year 1997. For the benefit of its members, the club organises various cultural programmes during the year. There are cultural programmes during Diwali, Republic day and Navratri. The club has been organising the Navratri Mahotsav since the last 26 years. This is event is one of the major attractions of Jamnagar and draws huge crowds. There are various competitions held during this Mahotsav and the best performers from Gents and Ladies are judged and awarded.